Prism Monitored PDU’s offers customers a choice of remotely monitoring the current draw of individual outlets using an RS232 serial connection or via Ethernet. This, combined with state-of-theart software such as Foreseer and PowerXpert, allows the user to aggregate the information from thousands of PDU’s in one location. All Monitored PDUs also include the EasyRead Digital LED Ammeter for easy start-up and provisioning of servers. Designed for high-density, mission-critical server applications, Prism Monitored PDU’s provides reliable remotely-monitored power to Data Centres for both standard and Blade servers. 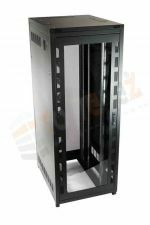 Prism PDU’s are available in multiple configurations and in both vertical (0U) and 19” horizontal rack mountings. Prism monitored PDU’s enable the user to remotely monitor the current draw of outlets via an Ethernet connection. Prism Monitored PDU’s contain EasyRead digital Ammeters for trouble-free monitoring and management. The multi-channel Ammeter allows the monitoring of current on input and each branch circuit to ensure accurate load balancing. The Ammeter can manually or automatically scroll through up to eight circuits. Prism PDU’s offer a reliable, scalable solution for your current and future requirements. 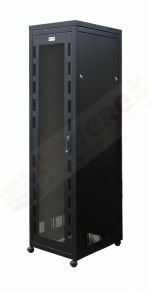 Key benefits include accurate load balancing, monitoring over Ethernet connection, simplicity of use, rugged aluminium chassis, numerous standard built-in options to aid monitoring, multiple choices of socket orientation and external earth tags, all designed to suit the latest rack and enclosure designs. 16A & 32A In-Line Rack Mount Monitor. Designed for new or retrofit applications, our in-line monitoring units provide simple single and dual feed local and remote monitoring solutions. Available with RS232 and IP connectivity, as well as the EasyRead digital ammeter.